RICHLAND, Wash. – The Washington State University Board of Regents this morning approved slight increases in housing and dining rates for students for the 2014-15 academic year and applauded university officials for keeping costs as low as possible. “We spend a tremendous amount of time trying to keep any rate increases as low as possible,” said Regent Laura Jennings. “The university team makes sure student perspective, the student experience, is very well considered.” She said WSU rate increases are among the lowest, if not the lowest, in the state. Residence hall room and board rates will increase by 3.2 percent – approximately $307 – beginning fall 2014. Single-student and family housing rates will increase 3 percent. The Housing and Dining Advisory Board endorsed the increases. It is comprised of student representatives from the Resident Hall Association, Associated Students of Washington State University and Graduate and Professional Students Association, as well as representatives from the Budget Office, Business and Finance, and Student Affairs and Enrollment. Regents also approved schematic design documents for the Northside Residence Hall Phase 2 project, to be located on Colorado Street just east of the women’s soccer field on the Pullman campus. 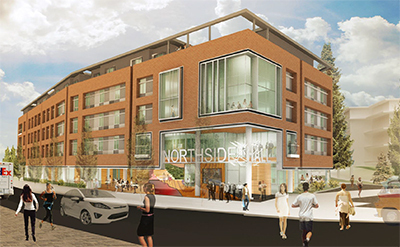 Construction is expected to begin this spring and be complete for fall 2015. The project will house 270 beds in a combination of singles and doubles with and without baths, two- and four-bed semi-suites, and apartment-type suites on the fifth level for 4-6 students. The building will include common spaces on each floor as well as a living room and recreation area on the ground floor.